What are Multi-Bagger Stocks? And How to Find Them? This may be one of the most awaited posts that I’ve ever written. Since I started writing about stock market investing, I have received at least a million emails asking recommendations/ suggestions regarding multi-bagger stocks. Most of the emails covered a content similar to this- “Tell me the name of a stock which can give 10 times returns in next few years” Or “Which stocks can give multiple time returns like that of Eicher Motors in Future”. 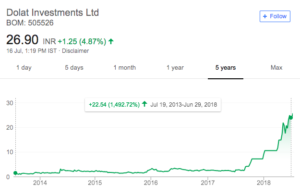 Instead of recommending stocks, I decided to cover an entire post of multi-bagger stocks and how to find them. Recent Examples of Multi-bagger stocks. Things to know about multi-bagger stocks. Known traits to find Multi-bagger stocks. How to find multi-bagger stocks? Further, please read this article completely as you may find a number of valuable contents in between. 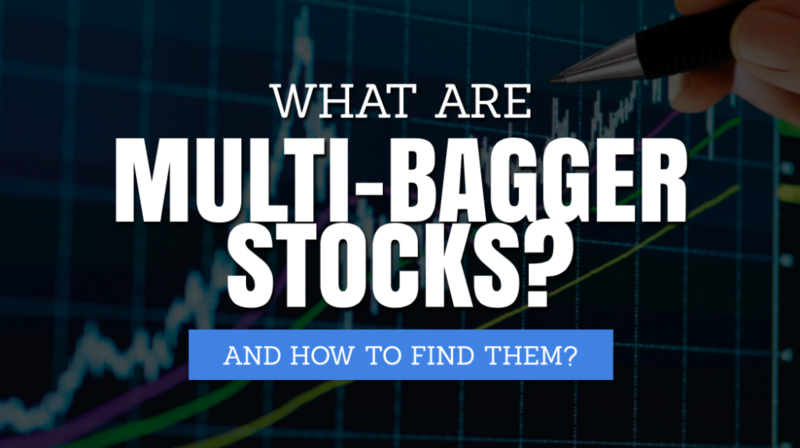 Now, without wasting any more time, let’s understand what are multi-baggers stocks and how to find them. 1. What are Multi-bagger stocks? The Multi-bagger stocks are those stocks who give several times return compared to their original purchase price. 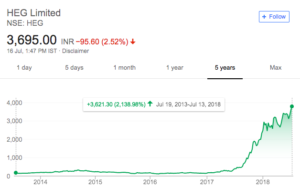 For example, if you bought a stock at Rs 100 and after a few years, you sold it for Rs 600, then this is a multi-bagger stock. In fact, this is a 6-bagger as you earned 6 times return. Similarly, if you get 2 times return compared to your original investment amount, then it is a 2-bagger stock. if you get 10 times return compared to your original investment, then it is a 10-bagger stock. And obviously, the higher the bagger, the better it is. 2. Recent Examples of Multi-bagger stocks. 3. Things to know about multi-bagger stocks. Multi-baggers are those companies who are financially strong and has a good business model that can be scaled within a short period of time. What really makes a stock multi-bagger is “Time + Continuous growth”. 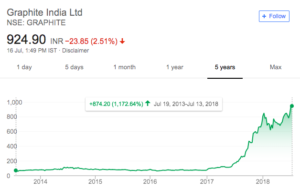 If a company is delivering continuous growth for a longer sustainable period of time, then it would turn out to be a multi-bagger in the future. These stocks take a long interval of time (5-15 years) to become a multi-bagger. That’s why you need to have a high degree of patience while investing in these stocks. If you are gonna book a profit of 60-70% after 10-12 months, then you might never be able to get a multi-bagger stock. Maybe, you’ll find it but you’ll not be able to get maximum profit out of it. In order to hold multi-bagger stocks, you need to understand the business. Only after doing so, you can be confident and patient enough to hold the stock for several years. Historically speaking, small and mid-cap companies have given the most number of multi-bagger stocks. However, this doesn’t mean that large-cap companies cannot become multi-bagger stocks. Don’t feel bad if you missed a few multi-baggers in the past. Even if you are able to find and hold one multi-bagger stock in your portfolio, your overall returns will be amazing. 4. Known traits to find Multi-bagger stocks. Growth at a reasonable price (GARP) stocks: Instead of investing in entirely ‘growth’ or entirely ‘value’ stock, select growth at a reasonable price (GARP) stocks, which has the mixed characteristics of both growth and value stocks. This can help you find a growing company without overpaying for it. Turn-around stocks: These are those companies who once got beaten badly by the market, however, now are getting back on the track. Mis-priced opportunities – You can find multi-baggers returns by investing in those companies who have a good potential, however, either ignored by the market or is out of flavor for the investors. Structural or management change in the organization: If there’s a major structural or management change in the organization that can drive the growth of the company, then it may be a potential multi-bagger. High Return on Equity: ROE shows how good is the company in rewarding its shareholders. A higher ROE means that the company generates a higher profit from the money that the shareholders have invested. Sustainable competitive advantage: If the company is one of the kind or have created an entry barrier for the competitors, then definitely it can give multiple times return in the future. 5. How to find multi-bagger stocks? First of all, you need to understand that it’s not easy to find and hold multi-bagger stocks. Else, most of the stock market investors would have been a millionaire by now. However, finding multi-bagger isn’t even ‘rare’. Ask any investor who has been investing in the stock market for few years, and he will easily name at least 5 stocks that he has come across during his investing career. In short, it’s ‘difficult’ but ‘do-able’. You too can find multi-bagger stocks if you are willing to spend your time and energy in an ‘intelligent’ approach. If you start reading the financials of each and every listed company, then it might take years. There are over 5,500 listed public companies. For the initial screening, you can use a few simple financial ratios to shortlist stocks on the basis of high performance, low debt, price to earnings multiples and liquidity. Note: You can find the list of few other significant financial ratios to check here. This can help you to reduce the number of shortlisted companies (in case the list is too big). Is the company’s sales, revenue, and profit stable or growing over time? Are earnings per share stable or growing over time? Are free cash flows stable or increasing over time? 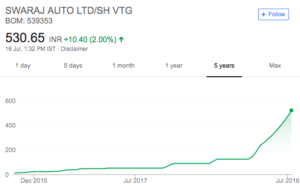 Is book value per share steadily growing or not? Has the ROE been consistently high? 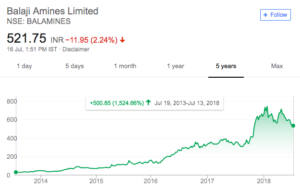 If you want to read more, I have written a detailed blog post on how to do the fundamental analysis of a stock which you can read here. Apart from the fundamentals, it’s important to check the quality of the company which includes finding out your circle of competence, moat, management etc. Do you understand the company/ Is the company inside your circle of competence? What is the business model of the company? Is it scalable? Does the company has a ‘Moat’ (sustainable competitive advantage)? Is management capable to drive the growth and allocate the capital wisely? A significant point that you shouldn’t ignore here is that the competitive advantage should be ‘sustainable’. If it can be copied or the company has a short-term advantage, then it won’t get benefits for the long-run. While evaluating the stock, you’ll need to find a reasonable estimate of the intrinsic value of the company. You can use relative valuation or absolute valuation approach (dividend discount model, discounted cash flow (DCF) model etc). After a conservative estimate, check whether the stock is trading at a decent margin of safety (discount to the intrinsic value). If the company is trading at a discount, choose that stock to invest. Further, please note that most of the growth companies generally trade at a high PE. This is because their growth is consistently higher compared to the industry average and competitors. Therefore, if you are able to find a few good stocks, do not ignore the company just because they are trading at a high PE ratio. If this ratio is decent enough and the other factors are extremely favorable, then you can select that company to invest. The most important ingredient of a multi-bagger stock is “Time + Continuous growth of the company”. You need to remain invested for the long-term and the company should consistently grow its earnings. Further, finding a multi-bagger stock might seem too much work, however, it’s definitely worth doing. In addition, if you’re able to find good stocks to invest, then later you can easily sit back and relax in future with just a few minor monitoring. If you have a doubt or need any help, then feel free to comment below. I will be glad to help you out. Happy Investing. New to stocks? 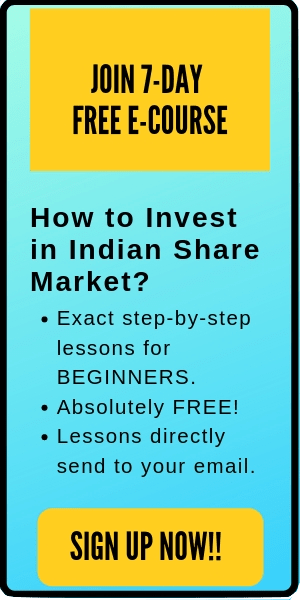 Want to learn how to invest in Indian stock market from scratch? Here is an amazing online course: INVESTING IN STOCKS- THE COMPLETE COURSE FOR BEGINNERS. 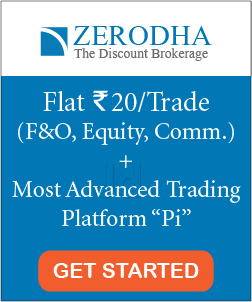 Enroll now and start your share market journey today.